Sauruz, yes the skeleton wizard always wears a cool-looking hat. Finally finished Necromancy... this is for you, petmancers. 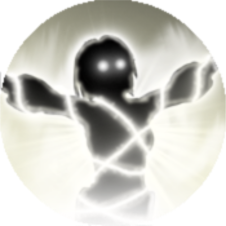 Maybe to add something like confusion, stun or petrify or something like that in % for active aura for Necromancy. Also about Chaos Mastery for Accelerated Demise it should not affect telkines, titans and some other special powerful monsters/heroes. Imagine killing final Hades in 1 second. It won't, bosses are almost immune to health reduction. Nice work WNG, keep it up. Yes, Accelerated Demise is specifically a mob-clearing tool. If bosses were susceptible to life reduction, it would be a pretty lame mechanic. Halted a bit the making of the new mastery to focus on other side features from the mod : new heroes and new items to fit the needs of the new classes. I also figured I would make in sort all uniques and MIs make a unique sound when they fall on the ground (just like the formulas and artifacts do) so we never miss them. Archery mastery is done, wich means 4 masteries out of 10 are completed. They will still need lots of playtesting and number tweaking though. So maybe you should follow proved example as very good, set energy cost to not be high, or to increase with levels, about 10 seconds recharge, fragments on higher levels and chance to pass through enemies. Also since Raptor Hunter is a bird, and its mastery related with bow and arrows, so maybe it should be renamed to some hunting bird, or some bird monster from legends. I tried to follow a logic model in the skill showcase : when a value is specified, it is the same for all the levels. The 3.0 Meter radius is indeed for all the levels. I like the idea of a strong arrow you can only use once in a while. About the bird's name, I didn't gave it much thought to be honest. If you would have a better suggestion, I guess it is welcomed. Been working a lot on the secondary features of the mod recently. Included new artifacts to the lootables, both for the early and late game, wich will later be used as regeants. Added new animal relics, such as Behemoth Jawbones, Bear Claws and Human Blood. Introduced a bunch of new affixes, and some of them also include unique and fun skills. Will soon resume the making of Lifegiving. Lifegiving is finally completed. With that out of the way, I believe I will be doing more playtest during the next few days and fix unbalanced skills. Godly Presence - tier 2: I see problem with this if energy is burned. Maybe is better to make it to reserve energy percentage and maybe some -% of health regeneration instead of energy per second? Player may go with items based on bonuses from this skill so there will be problems while playing, especially if player is not much experienced, so if he have items he will miss for sure to notice that he is missing some items because of item requirements. This is a very legitimate critique! I really never thought of it, and I think the change you suggested is more suitable. Thank you a lot. Well, some stuff has been going on recently. Been working a lot on it and getting near the end of the mastery-design part, after wich I'll have to do the playtesting and fine-tuning. With that said, there will probably no more news regarding the mod until the last 3 masteries have been finished. Mostly because the studies will kick in soon enough, also nobody seems to give a flying falafel about the mastery showcases, so I'll save the time doing these for something else, maybe further working on the mod itself. In short, I'll see you again eventually. I say take care. also nobody seems to give a flying falafel about the mastery showcases, so I'll save the time doing these for something else, maybe further working on the mod itself. Thats isnt 100% truth, most of time people check the work in progress in quiet, prefering waiting when the mod hits on testing phase.